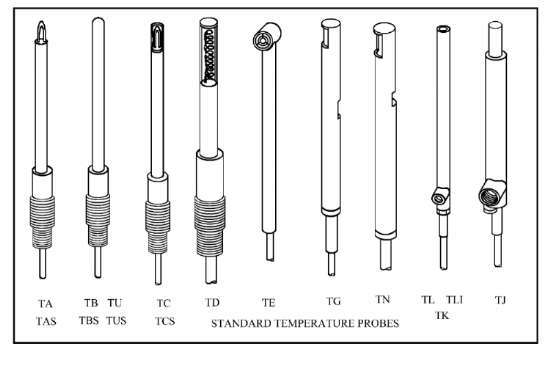 Temperature Probes and Thermocouples | United Sensor Corp.
For high and low temperature probing and measuring total temperature. United Sensor's Temperature/ Thermocouple Probes are used to measure total temperature of air, gas, or liquids in Industrial, Aircraft/ Missile and special purpose applications. These probes measure up to 2000°F in velocities from 100 to 2000 ft/sec. A complete line of Exposed - Loop, Insulated Junction, Grounded Junction, Radiation Shielded, Stagnation Shielded and Aspirated probes are available. All probes are primarily constructed of stainless steel. Why measure the temperature of a flow?